We’re starting with a little business news in today’s 3D Printing News Briefs – Intech confirmed its first order for Additive Industries’ MetalFAB1 3D printer, and Roboze CEO Alessio Lorusso has won a prestigious Ernst & Young award. Moving on, researchers are working on 3D printable thermoelectric materials that can convert heat from the surrounding environment and convert it into electricity, while an architecture studio has developed a unique concept for a 3D printed, transportable toilet that converts something very different into electricity. Finally, if you’re looking for a unique gift this holiday season, check out Bloomingdale’s, which is working with Twindom and KODAK to offer 3D printed holiday portraits. On the last day of formnext 2018, Bangalore-based Intech, a leader in metal 3D printing in India, confirmed its first order of the MetalFAB1 system from Dutch 3D printer manufacturer Additive Industries. This order marks Additive Industries’ expansion into Asia, and will also help Intech accelerate its business. Application and process development and customer support will be handled from the new regional Additive Industries center in Singapore. Alessio Lorusso, the CEO and founder of Italian 3D printing company Roboze, was recently awarded the prestigious 2018 Startup Award by Ernst & Young (EY) at its Entrepreneur Of the Year 2018 awards. Established for the first time during the 2015 awards, the Startup Award is awarded for contributing to a major growth of the Italian, and worldwide, economy, and is dedicated to an individual’s ability to create value with a spirit of innovation and a strategic vision. The award aims to make young, bright minds, who create a company from an innovative idea, more visible. According to a review of new research in the Science and Technology of Advanced Materials journal, a team of scientists are working to design thermoelectric materials that can harvest heat from the environment, then convert it into electricity in order to power appliances and devices. Products made with these materials, such as wearable devices, could be more cost-effective, as they won’t need to recharge, change, or dispose of batteries. The team, which published a paper called “Thermoelectric materials and applications for energy harvesting power generation,” is investigating three different types of conducting materials, including inorganic and organic. Most organic thermoelectric devices involve polymers, and semiconducting ones are more lightweight and inexpensive, can hold heat better than conventional inorganic semiconductors, and are flexible enough to be 3D printed. Inorganic thermoelectric devices can convert heat into electricity, but aren’t that flexible. The researchers say that while thermoelectric devices could actually replace traditional batteries in many applications someday, a lot more work is required first. Time will only tell with this one. Speaking of electricity, architecture studio Spark has developed an innovative concept for a transportable toilet, made with 3D printed elements, that can actually convert human waste into electricity. Fittingly, the studio launched its Big Arse Toilet on Monday to coincide with World Toilet Day. The module was designed for use in remote villages in India, where the UN is working hard to tackle the sanitation and hygiene issues stemming from open defecation. The toilet elements would be 3D printed from bamboo fibers mixed with biopolymer resin, and the completed module would be anchored to a 3D printed reinterpretation of a traditional biogas dome buried underground, which uses waste to generate and store gas. Spark told Dezeen, “The Big Arse toilet reinterprets the use and organisation of traditional bio-gas domes to create electricity and gas for those communities that have no access to power networks and utility infrastructure that we take for granted. 3D body scanning leader Twindom, a brand licensee of Kodak, is offering a unique gift promotion this holiday season to shoppers at the Bloomingdale’s stores in San Francisco and New York City: personalized, 3D printed holiday portraits, made with the KODAK Full Body 3D Scanner until the end of December, just in time for Christmas. Shoppers who want to have a 3D printed portrait made can either make an appointment or just walk in to the store. Once there, simply enter your information, walk into the KODAK Full Body 3D Scanner, and pose for the scan, which only takes 1⁄4 of a second to complete. 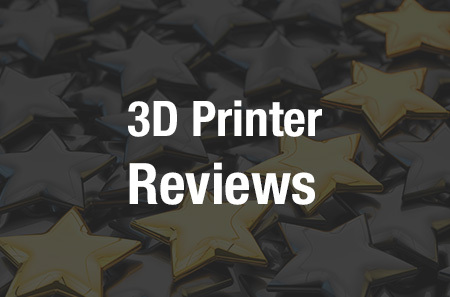 Then, review the 3D capture, choose your size – 3 to 14 inches – and place your order, which will be 3D printed in full color and ship in about 1-2 weeks. Pricing starts at around $69 for the 3D printed portraits, and local support at each store location is provided by Twindom’s local partners: PocketMe, PeoplePrints 3D, and Memories in 3D.